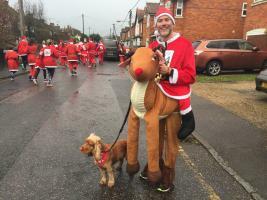 About us Featured pages Photo Galleries Clean Water for African School Children The Famous Rotary Marlow Santa Fun Run - Coming on 2nd December 2018 Help us make Marlow a ‘Dementia Friendly Community’! We are looking forward to another fantastic Marlow Santa Fun on December 2nd 2018. Marlow Bridge members will be marshals to ensure that all the Santas are kept nice and safe. It might get pretty hectic as there are over 2500 adults & children running! Be part of an exciting young Rotary Club in Marlow! MARLOW BRIDGE ROTARY CLUB is now in its 3rd year. 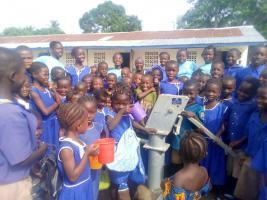 Most people have heard about Rotary but relatively few really know much about it. Quite simply, Rotary is a diverse group of people who enjoy supporting the local community and beyond and who enjoy the social aspects of mixing with a like-minded team. The existing two Rotary Clubs in Marlow have carried out great work in supporting a wide range of communities at home and abroad for over 30 years. 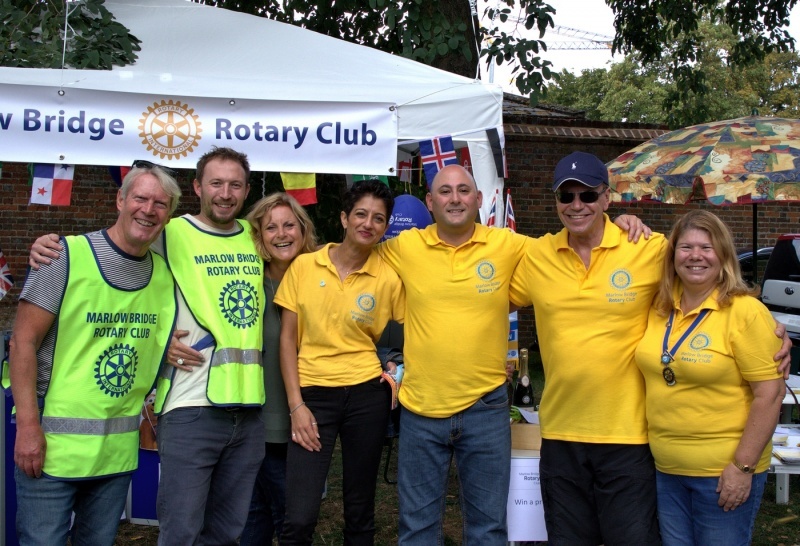 MARLOW BRIDGE ROTARY CLUB is looking for an enthusiastic and energetic group of people to help shape this new and different club – “a club for the next generation of Rotarians in Marlow”. We have a spread of ages from 30 to 65 and are pretty much 50:50 split on gender. We all lead very busy lives so our meetings are after work and more informal than other clubs - we only meet on the 2nd and 4th Tuesdays of the month from 19:30 for a 20:00 start. We don't have a meal as part of the meeting (you can get bar food beforehand) and we don't have a minimum attendance requirement. We have a mixture of social and club business evenings – in the latter we plan the events coming up to support the local community, local charities and trusts, plus of course our club’s social events. We also invite local, interesting people to give us talks about a wide range of subjects. The venue is the back room at The George & Dragon, The Causeway, Marlow (bottom of the High St near the Bridge). Interested in coming down and meeting us?